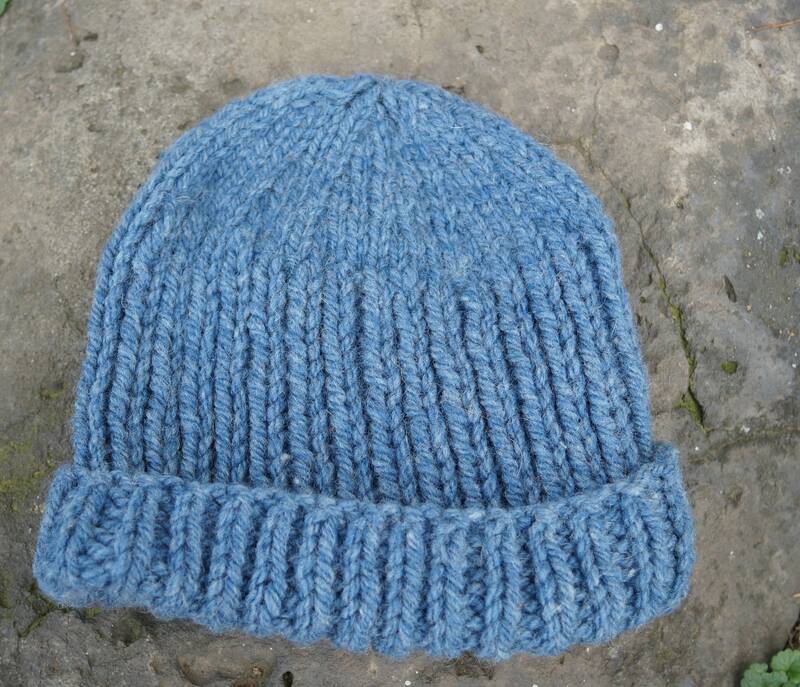 BLUE HEATHER adult ribbed hand knit hat. Hat measures 18 inches around and 8 inches high with 2 inch cuff un-stretched. 10 inches high without cuff rolled up. Will fit large child or adult. Made on our USA farm.